In 2019, performing in animation and interactive gaming properties is NOT about your 'cast of characters' like it once was. In today's fiercely competitive voice acting landscape it's the ACTING that's preeminent. Even the utility players in a show or game have to know how act for the audio medium before all else in order to book the jobs. Space is limited to 12 participants and teacher approval is needed to attend. This class is recommended for talent who have had basic acting training and a basic introduction to voice over through education or experience. Do you allow auditing? - Yes. We limit auditors as space is limited, and too many auditors can be distracting to students participating in the classes. What Kind of payments do you acept? - Not at this time. All forms of payment require classes to be paid in full. Is this class is right for me? - This class is designed to accommodate the widest spread of talent and skill possible. It is NOT recommended as your first voice over class however, nothing beyond a basic or introductory voice over class and basic acting training is needed to participate. 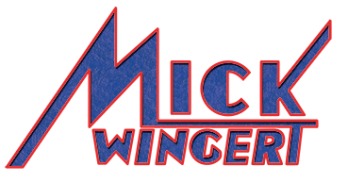 If you are a working professional or a member of Mick Wingert's ongoing VO Community workouts, this class may feel redundant for you depending on your skill level and experience with Mick as a coach. ** Please note, Mick Wingert does not teach basic acting through this class. It is understood that all students have received basic acting training with an understanding of the fundamental skills and principles needed to actively develop their craft and thrive in the class environment. Do you allow make up classes? - Unfortunately, we do not allow for make up classes at this time. Should you need to miss a session during the course of the class, full payment for the class is still required in order to participate.